Great Scot! It’s the Great Gatsby! Rowena’s Inn on the River is a delightful trip back in time. It’s an old homestead built by a pioneer logger in the area for his family. Charles Nelson Pretty was a businessman and entrepreneur. 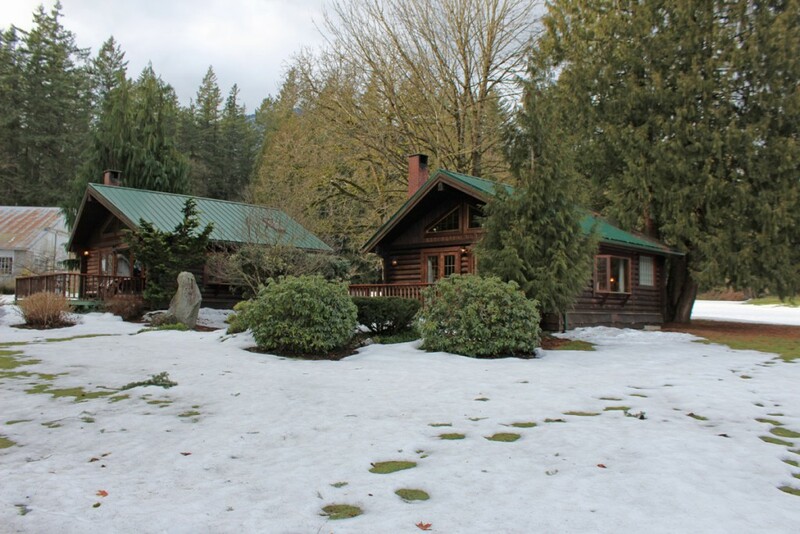 In the 1920s he had an opportunity to buy a 160 acre parcel of land in Harrison Mills. That land became, among other things, a dairy farm, a silvertip fox farm and a logging operation. At one time, Pretty’s operation was the largest privately owned logging company in all of British Columbia. When the home was built, there was no road. The Pretty family took the train to Harrison Mills and paddled by canoe to their estate. Later he had a yacht built and sailed up the river, mooring in front of his home. 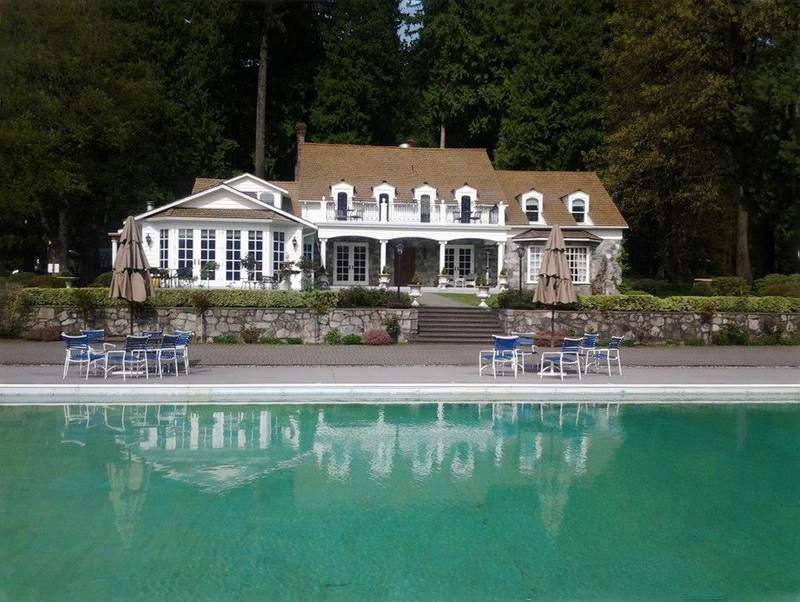 While Charles and his wife Rowena spent much of their time in Vancouver, they also spent time in Harrison Mills. Betty-Anne, the youngest of their four children was actually born at the home. There was no electricity, so Pretty built a dam and produced his own electricity. The home still runs off the power from this generator. In 1968, two of the children died tragically within six months of each other. Charles Pretty passed away in 1992 at the ripe old age of 102. The two surviving siblings, Ivan and Betty-Anne decided to convert the old manor into a Bed and Breakfast in 1995. They named the inn Rowena’s after their mother and late sister. There are five bedrooms available. Four cozy cabins were added and the gatehouse which has two bedrooms is also available. After Ivan passed away, Betty-Anne bought out his share and became sole owner of the property. Though Betty-Anne sold the estate in 2016, she and her husband Doug still live in the house, though Doug is currently in a convalescent home. The house is filled with antique furniture and old photos of the family’s history. As a home from the 1920s, it seemed an ideal place to hold an annual themed party costume party. 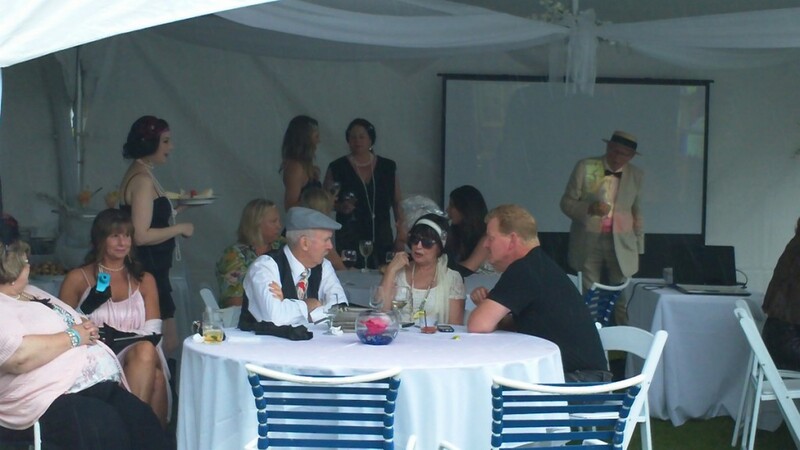 And so the annual Great Gatsby Party came about. We attended the party in 2014, dressed up in costume, and stayed overnight with our friends Chris and Sheila. The Pretty family and their staff do it up in grand style. They bring in several old period cars and park them on the lawn of the estate. They bring in a few large tents in case it rains (which it occasionally does) and they brought in a swing band, the Jen Hodge All Stars, to provide some atmospheric music. They rocked the place. Band leader Hodge is the bass player in the video below. 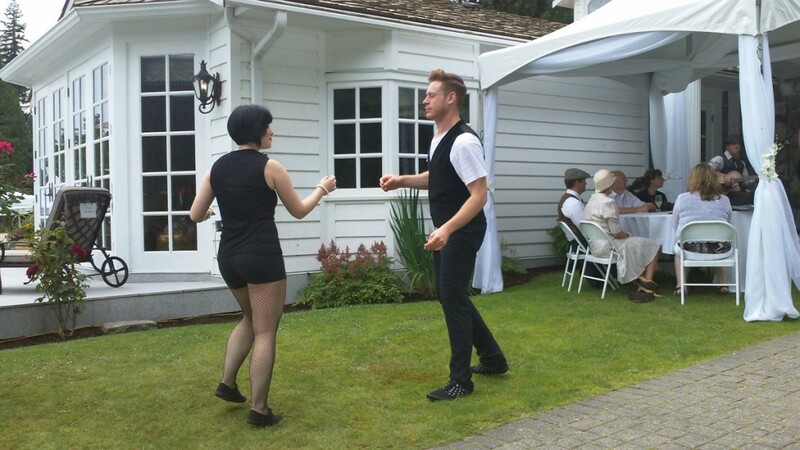 There were also professional dancers to get people into the swing of things. It did rain for a while during the day and the party was moved under the tents and indoors. 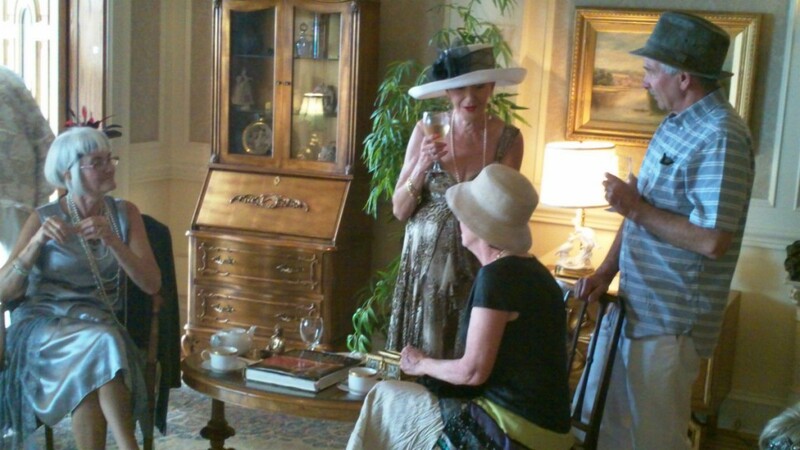 Tea and refreshments were served, including 1920s era drinks like mint juleps. Of course, one of the main attractions is the attendees. 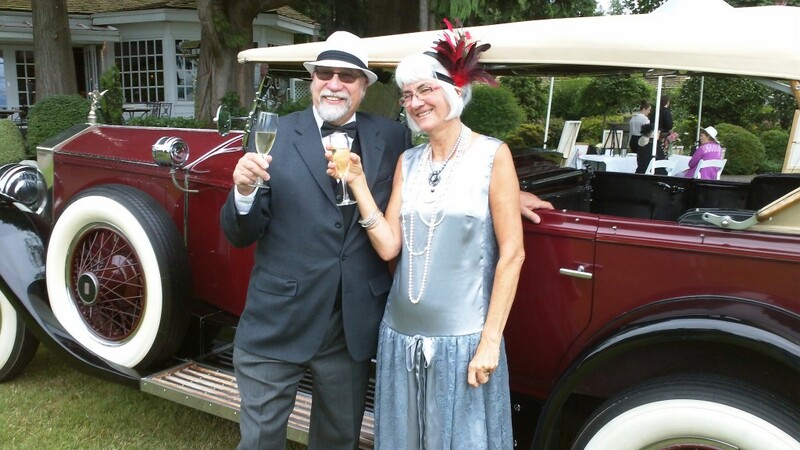 Some go all out to create the 1920s look. Flapper dresses, vests, suspenders and pocket watches. My wife sewed her own dress for the occasion. We thought that the party might just attract older folks like ourselves but we were surprised by how many young people got into the spirit of the occasion. Outside under a tent, the Baz Luhman version of The Great Gatsby was playing on a screen, but not many people were watching. It was backdrop. The Gatsby Party skipped a year in 2016 but is back for 2017. A limited number of rooms and cabins are also available if you want to stay overnight. 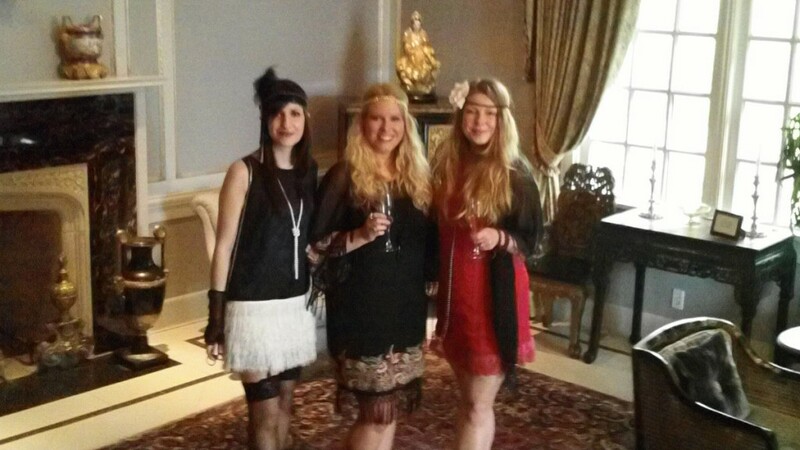 Below is a short promotional video the estate produced for the Great Gatsby Party. My wife and I just happen to have a cameo appearance. 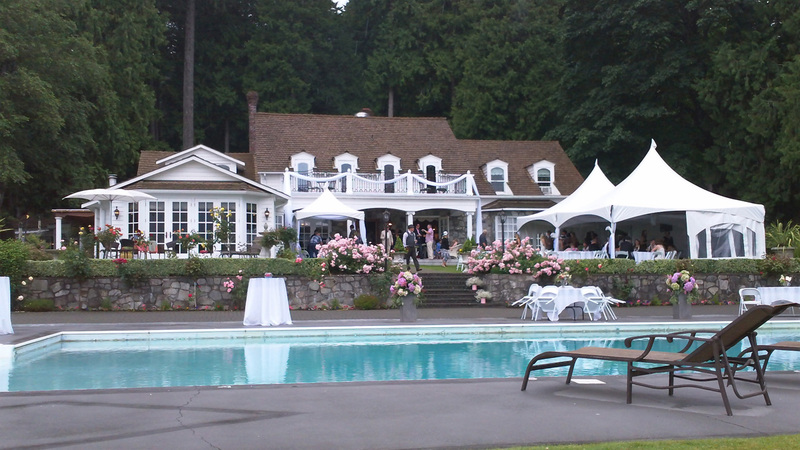 And while the Gatsby Party is a fun reason to visit Rowena’s, there are other reasons and seasons to visit. The inn is at the base of the road that leads to the Hemlock Ski Resort. The same road leads to the Weaver Creek Spawning Channel where you can watch salmon spawn. It’s open for visits from Oct. 6 to Nov. 1 every year. And the Harrison River attracts one of the largest gatherings of bald eagles in North America every year in November. November 18-19 this year kicks off the annual Fraser Valley Bald Eagle Festival. Pretty Estates is a great place for eagle watching. And this year the estate is having a special Valentine’s dinner in both the Clubhouse Restaurant and in the dining room at the inn. My wife and I have booked a two day stay and are looking forward to it. Rowena’s is a thoroughly charming trip back in time with many activities to choose from. 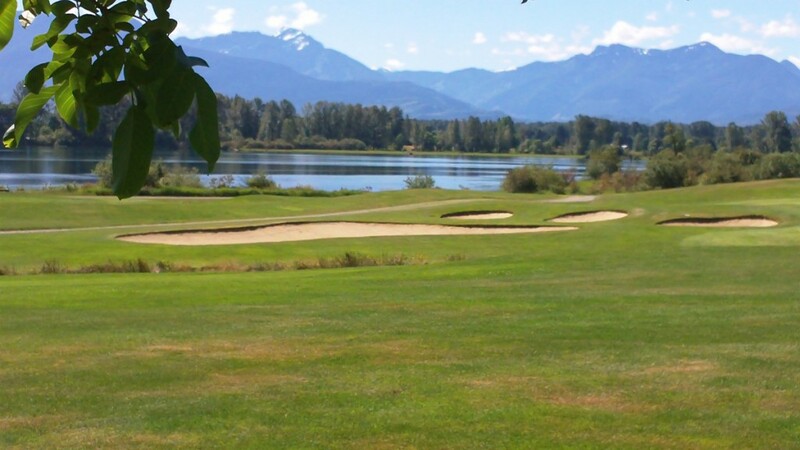 It’s only 21.9 kilometres from Harrison Hot Springs and 108 kilometres from Vancouver, about an hour and a half drive. Below are two photo galleries and some links of interest. If you’re on the front page of this blog, just scroll on down, otherwise click on the links. I will be taking more photos and adding them after Valentine’s Day. Video Tour of the Inn (with Betty-Anne as your guide).